We were created for community for the Glory of Jesus and for our great joy. Whether you are new to Covenant Life Ministries or you have been a member, get connected. Gathering weekly for fellowship and accountability, study and prayer, good times and tears, Covenant Life Ministries Community Group is an essential expression of our church’s mission. At the heart of this ministry we desire to see a community of believers who worship Jesus, love one another, and embody the mission of Covenant Life to make disciples. God has called us to a continuous lifestyle of worship and relationship with Himself, which is cultivated and nurtured within the body of Christ. The Church is a people. It is a gift of God. At Covenant Life, community group is the place where discipleship and care takes place. It is where we encourage one another to be worshipers of our Lord. It is where the body becomes the body, loving, caring and challenging one another. We were created to worship Jesus in community in the Image of our Creator, who Himself exists in community. It is our desire to see every member of Covenant LIfe loved, cared for, and challenged within a thriving community. And it is our desire that our neighbors within this northeast region are blessed and touched by the love of Jesus through the lives of our members. I AM NEW HERE…AM I READY FOR A COMMUNITY GROUP? A community group is a gathering of people from the church that get together weekly to share life and support one another. Life is hard. It was never intended to be lived in isolation. Community is a gift of God intended to help us see and experience the good news of Jesus in profound and tangible ways. If you are new to the church this the perfect place for you to belong, ask questions, and wrestle with your faith in a community of people who care for you. It is within community that we exist as true family in a time when the concept of a loving and caring family can seem foreign. It is a place where we encourage and challenge one another in our journey to know Jesus in deeper and more personal ways. In Community Groups, people talk through life issues, eat together, pray together, laugh together, struggle together, and serve others as we are transformed by the grace of God in our lives. 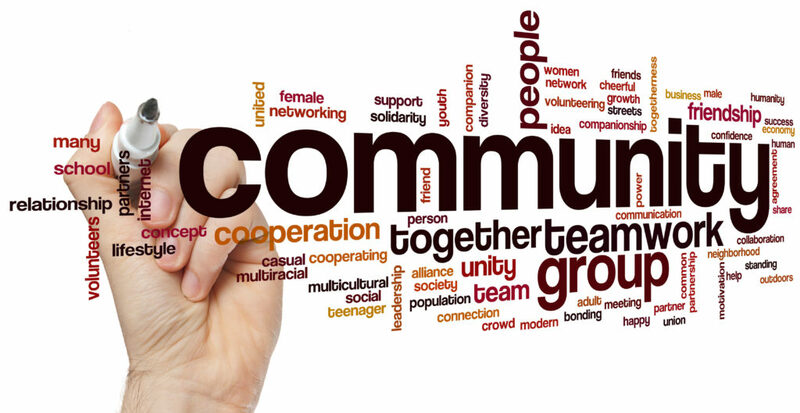 WHY IS COMMUNITY GROUP IMPORTANT TO COVENANT LIFE? Getting connected at Covenant Life means participating in Worship Services as well as gathering in Community Group. Worship Services are a time for celebrating in worship of Jesus together, hearing the preaching of the Word, and sharing in Communion. Community Group is the place where the seeds of the preached Word takes root and becomes real. It serves as an excellent platform to invite neighbors and friends. It is the place where we build relationships with one another, live life together, serve Jesus, and participate in the work that God has called us to as a church. You can expect a weekly gathering that involves food, conversation, prayer, discussion for applying the Bible to practical living, and Q&A. Community Group is an environment for building relationships with one another, which strongly emphasizes challenging one another to drive God’s Word deeply into our lives. For the most part, Community Group follows the Sunday sermon series; although at times we may choose to work through a book of the Bible. Community group is much more than a Bible study, it is a place where we can laugh, cry, work and play together for glory of Jesus. This means you could expect BBQ’s, yard work for an elderly neighbor, bowling, working in children’s ministry, visiting people in the hospital, birthday parties, etc. We are a people living lives together as disciples of Jesus who are on a mission to call others to become disciples. Discipleship is a process of growth and sanctification that we are striving for, individually, as a church, and in our surrounding communities. There are five significant concepts that we need to address as foundational to our life as a disciple and our lives together as a church: Imago Dei, Identity, Worship, Community and Mission. We are image bearers of God created in His image to proclaim His glory to the rest of creation. This means that we have intrinsic value as His image bearers and that we were created for a purpose, to bring glory to our Creator (Genesis 1:27-29; Ephesians 2:8-10). It is from the image of God, and reconciling work of Jesus on the cross (Romans 5:10), that we express our identity as disciples of Christ through worship to God, community to the body of Christ, and mission to the world. Our identity is in Christ. This means that we define ourselves in the same way that God does: by what Jesus has done on the cross (2 Corinthians 5:18). We are not defined by what we have done, do, or the things that we have (2 Peter 2:9-12). Jesus has atoned for our sin (Romans 3:25), clothed us in righteousness (Isaiah 61:10), and adopted us as sons and daughters (Romans 8:23). This is our identity. As believers, this means that Jesus is our King and Savior. He is our highest affinity, the Bible is our highest authority, and the Trinity is our example for how we live together. We are worshippers. We are created as instruments of worship intended to bring glory to Jesus (1 Corinthians 6:20). Therefore our greatest joy comes from when we do what we were created for, and that worshiping Jesus. We worship through song, gratitude, prayer and the way we live our lives. As believers in community, this means that we worship together and encourage one another to proclaim the excellency of Jesus (1 Peter 2:9). Our life together should be a proclamation of the gospel of Jesus Christ and a corporate act of worship. We are the body of Christ created in the image of God who exists in community (Genesis 1:26-27). The Father, Son and Holy Spirit have eternally existed in relationship with one another as one God in three persons (John 1). God is a relational being who created us as relational beings so that we could image Him (Genesis 1:26). As a community of believers this means that we are to reflect the glory of God and preach the gospel through our lives together. This means: loving one another, forgiving one another as Christ forgave us, calling one another to confession and repentance for the purpose of reconciliation and calling one another to lives that glorify God (Hebrews 10:24-26; 2 Corinthians 5:18). We are missionaries created in the image of a sent and sending God. God sent His son Jesus into human history to reconcile Himself to us (John 1:14). God is in the business of gathering more worshipers to Himself. As His disciples our mission is to proclaim the Gospel of Jesus so that more image bearers would come to a saving faith and give glory to God (1 Peter 2:12). As a community of believers, we are called to live lives together that reflect God’s glory, showing the world around us the saving, transforming love and power of Jesus Christ. Therefore, we are called to live our lives intentionally and missionally, loving one another, and engaging with and loving our neighbors. We do this because we are commanded to (Matthew 28:19; Luke 10:27; Jeremiah 29:5) and so that hopefully, our neighbors will see the glory of God being lived out in our lives, stimulating their hearts so that they will answer God’s call for their own salvation (2 Peter 3:9). 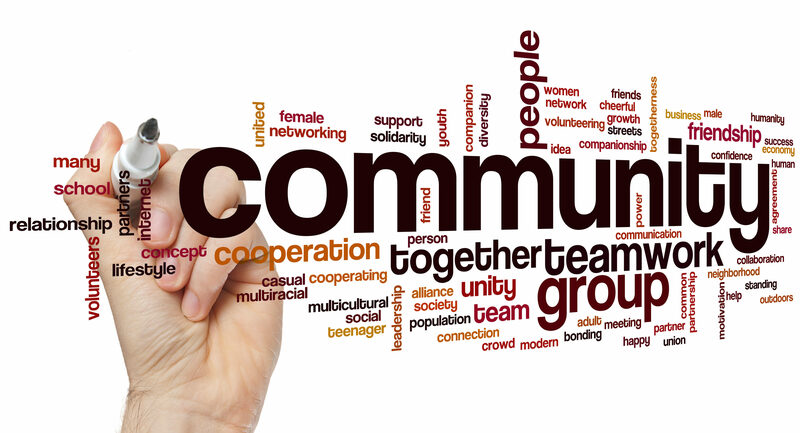 It is on this foundation that we have established Community Group. We are called to be disciples and make disciples. As you participate in, Community Group at Covenant LIfe Ministries, you should endeavor to align yourself with these principles.